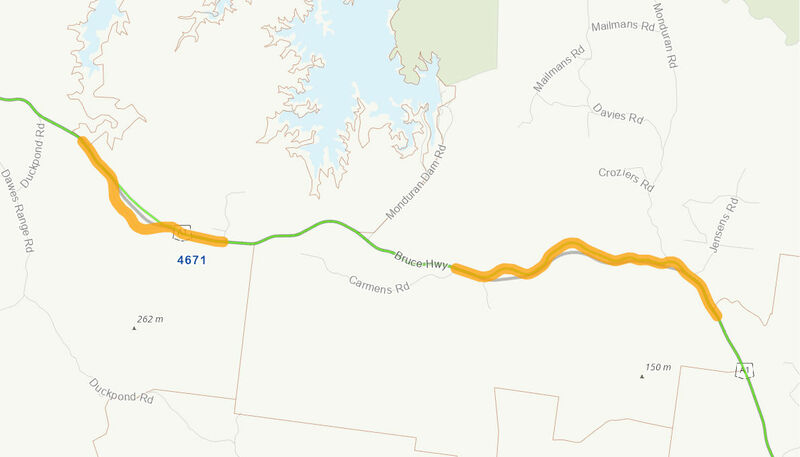 This project involved a re-alignment of the Bruce Highway, north of Gin Gin between Cabbage Tree Creek to Carmen Road and at Back Creek Range. The improvements will provide an improved alignment with a wider road surface on flatter grade. reduced travel times through an increased number of passing opportunities. The Australian Government provided $47 million to the project, in partnership with the Queensland Government. Construction commenced in October 2012 and was completed in September 2014.